"Puppet on a String"! Yes, yes, I know I'm very funny ......not! 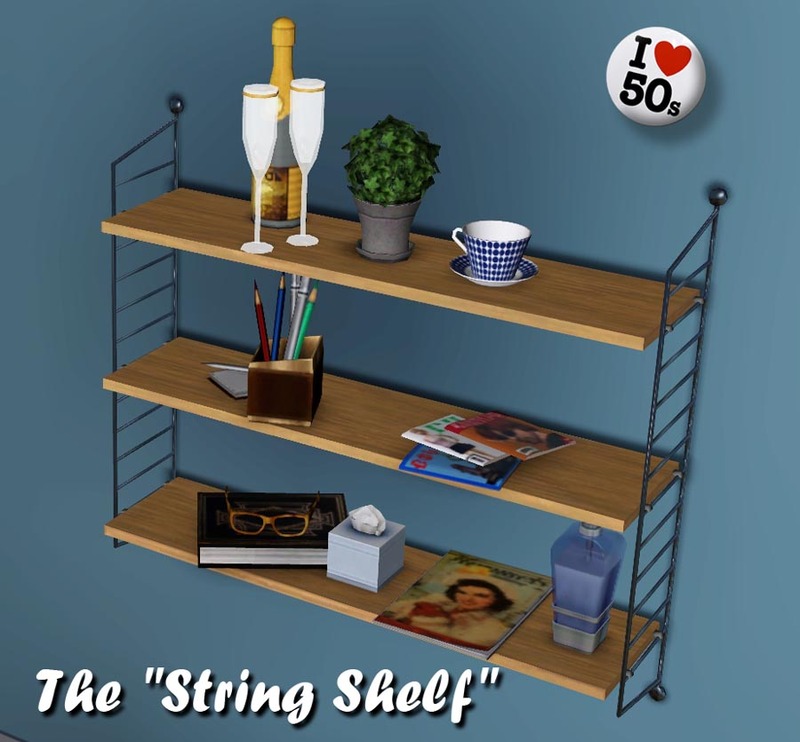 Well, yes, this was a very, very useful and common shelf here in Sweden in the 50's and are now a high-profile retro items. 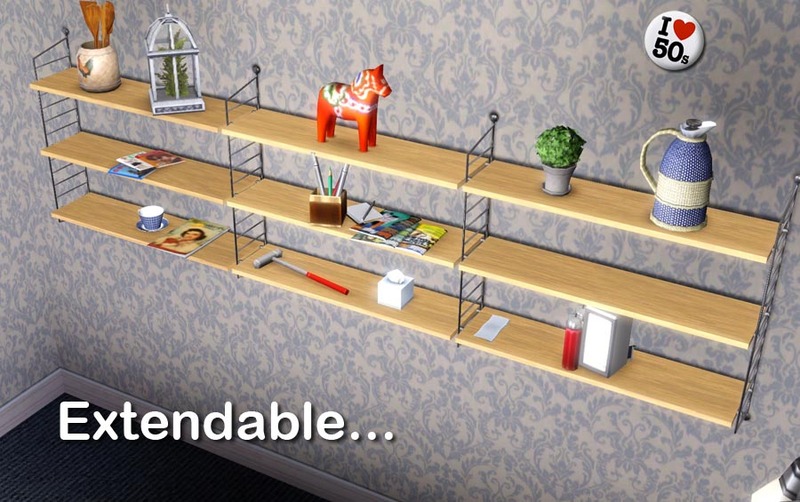 And now your sims can have it, everyone can afford it. I also saw that the shelf new produced now but nothing can replace the "original". I think that IKEA sells it! 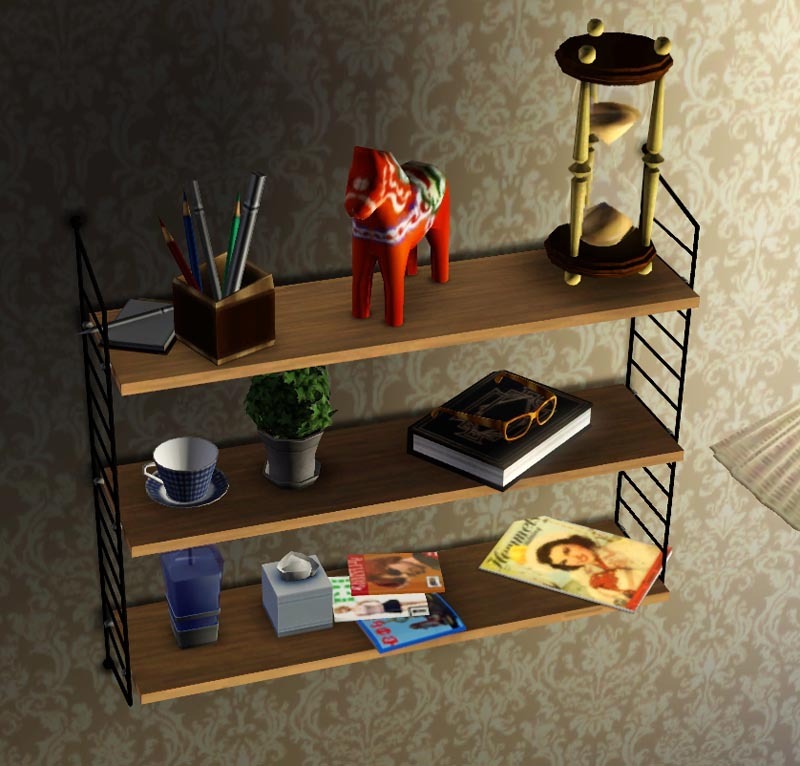 The shelf is expandable like a modular system and full CAST-able so don't forget to play with the colors and textures. 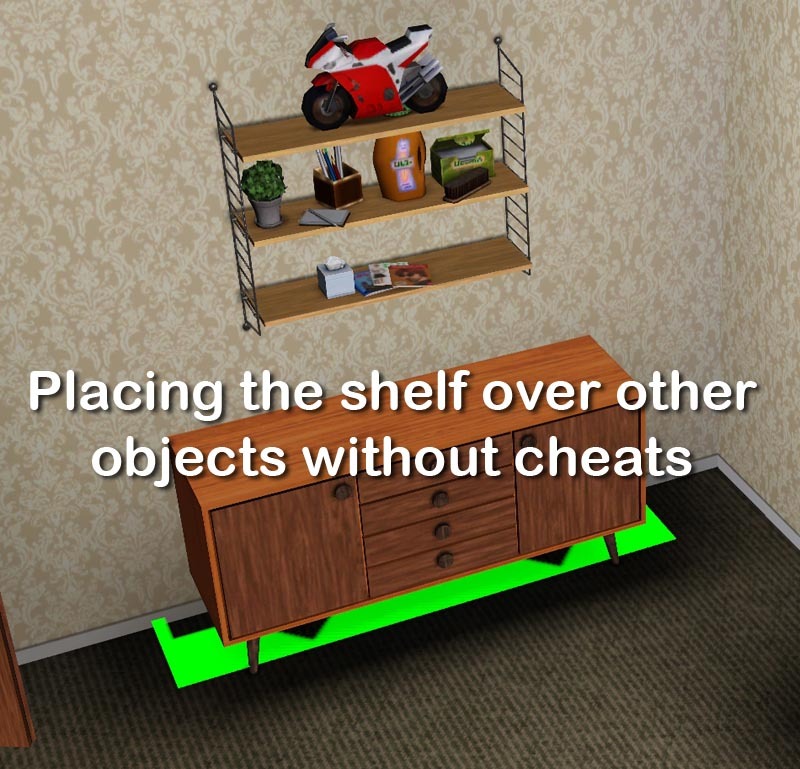 I've also make it with a "footprint" that makes it possible to place the shelf over existing objects without cheats. 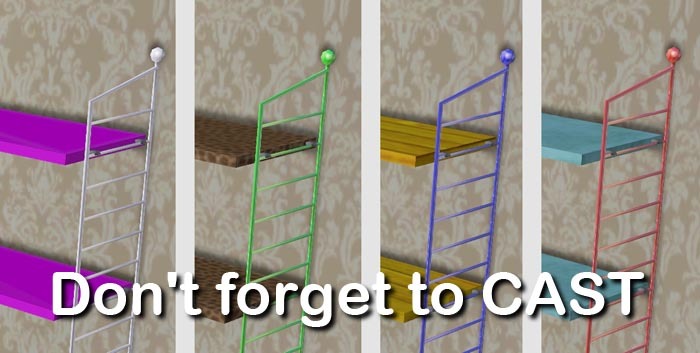 But you must first place the other object, then the shelf. The opposite is not possible. 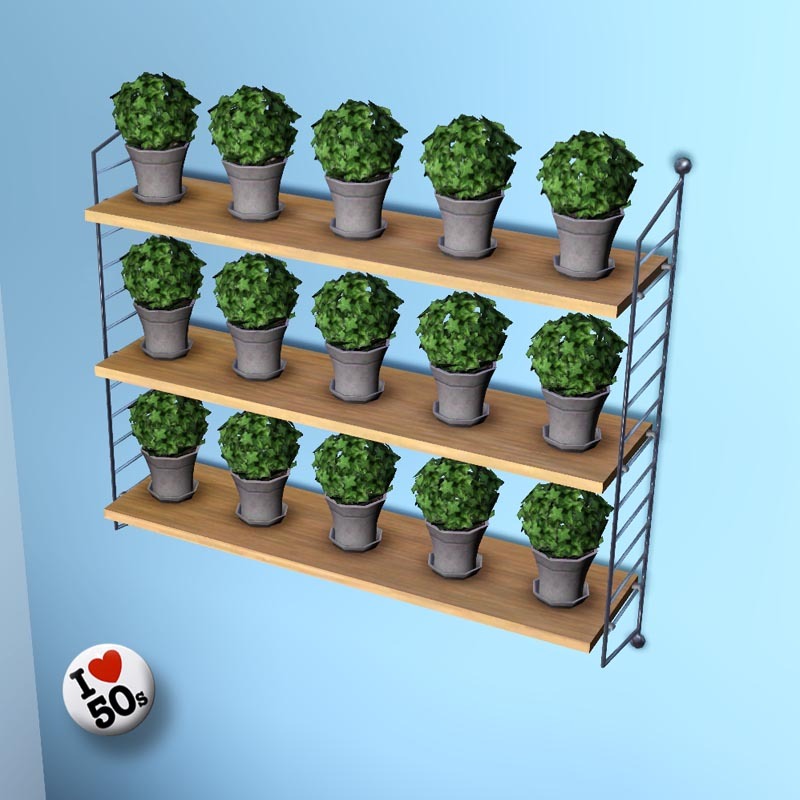 There are five slots on each shelf. 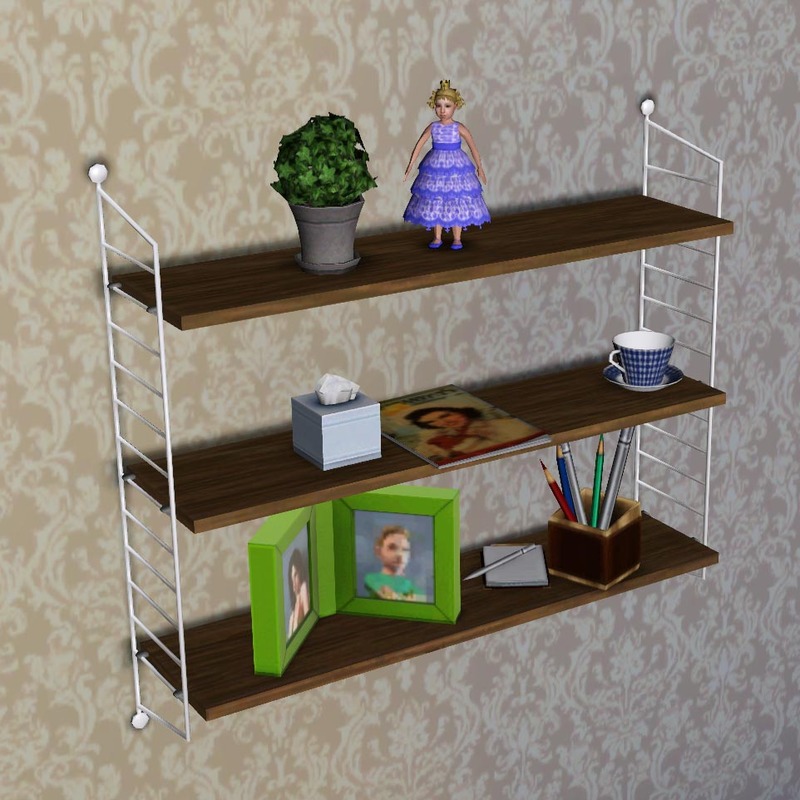 The shelf can be find among the surfaces - other, not the bookshelfs, and cost only $ 65. 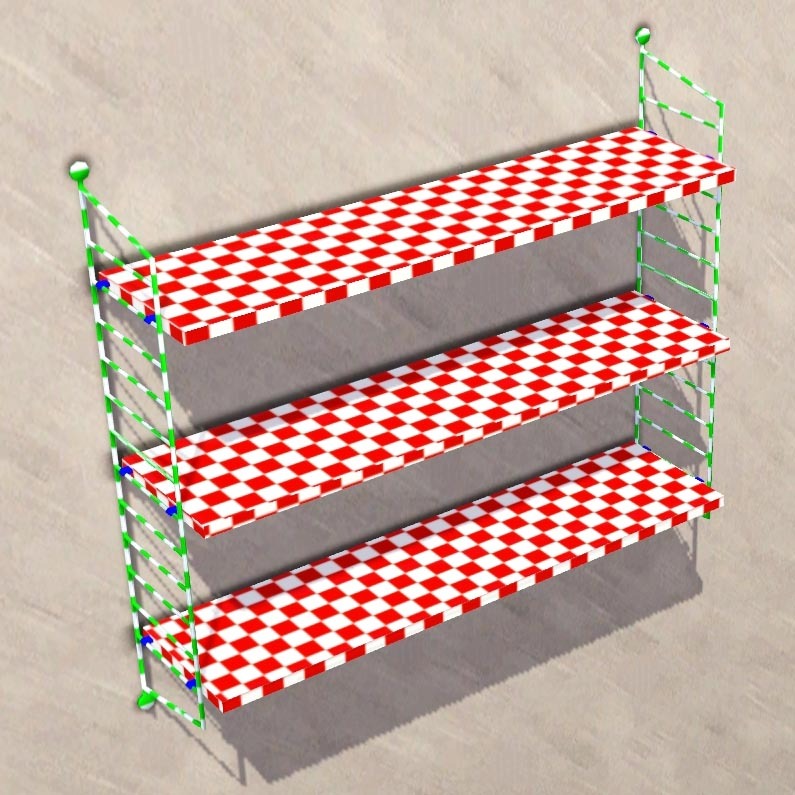 The shelf have 1266 vertices and 1420 faces.